Do you need a great place to sleep and when you woke up in morning your breakfast is ready and rest of the day is at your own? A Bed & Breakfast or a Guest House can do that for you. The city of Durham offers you with plenty of B&Bs and Guest Houses in a very beautiful locations. Those B&Bs and Guest Houses provides you a memorable stay with very peaceful atmosphere and when you return to home you will be fully refreshed. Sleep in a beautiful house, have a breakfast and then you are free to enjoy lunch and dinner at any place whether it’s a tourist spot or one of your favorite restaurant at the city. These venues are providing you with modern facilities as well as a very nice environment to stay and remember forever. 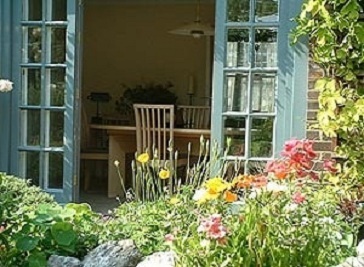 The B&B and Guest House at Durham are located in such places that you will wish to stay in it forever because of its picturesque and beautiful surroundings and scenic views. Now you can explore Durham like a local, with very low rates you are not in a hurry and can explore the historic city in details. Durham’s B&Bs and Guest Houses have great locations and wonderful accommodations as well as are in easy walking distance from all points of interests. You will be amazed to have a lovely and amazing experience of living among the locals and will remember the stay forever. Farnley Tower is a 4 Star Guesthouse located on an elevated position from where you can enjoy the beautiful views of Durham Castle, Cathedral and Coutryside. This guest house is fully facilitated with everything you would expect in a modern city hotel. This is an ideal place for you to stay and explore Durham. Castle View Guest House is set in an 18th century old and historic house. The rooms are fully facilitated with bathrooms, flat-screen TVs and free WiFi, plus tea and coffeemaking equipment. 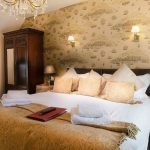 This guest house is surrounded by picturesque riverside walks and provides you with spectacular views of the cathedral and castle. 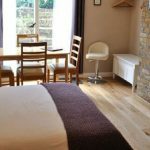 This Bed & Breakfast is located on one of the oldest route used both by pilgrims on the their way to cathedral and merchants to the market place, which is called No.66 Claypath. Places like new Gala Theatre, Durham's Market Square, Cathedral, Castle and riverside walks are in walking distances and also have easy access to the finest Durham's resutrants and pubs.